The Children's Ministry Conference. sponsored by Ivangeli and hosted by Lisa and Colin Ekman is always a highlight when I'm fortunate enough to be invited to speak. This conference was held in Johannesburg area over two weekends and attended by children's ministry workers and leaders from around the horn of South Africa. This is my seventh trip and Colin and Lisa are always the most extraordinary hosts. 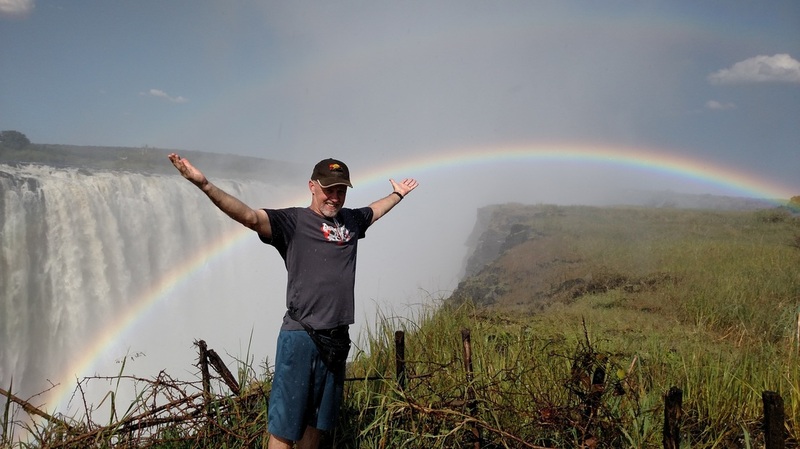 This year, I got to travel into Zimbabwe and see the famous Victoria Falls, the longest, uninterrupted waterfall in the world. It was truly extraordinary. I was able to deliver the keynote message along with teaching in various subjects from chronological Bible Storytelling to God Rods. Ivengeli is the South African publishing house for Gospel Light Publishing.